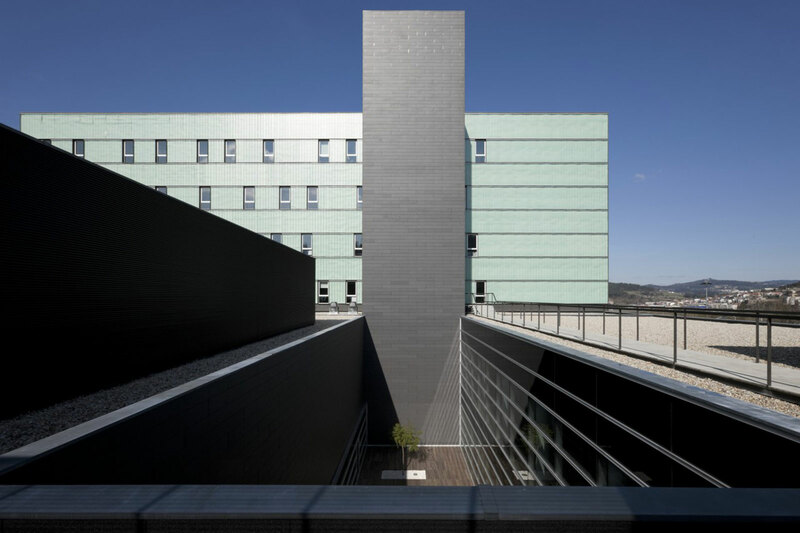 Guimarães Private Hospital is currently located outside of the urban perimeter, near a set of recently developed facilities by the Guimarães City Council – Athletics Track and Swimming Pools Complex – and by individual entities – a new School for primary and secondary education. 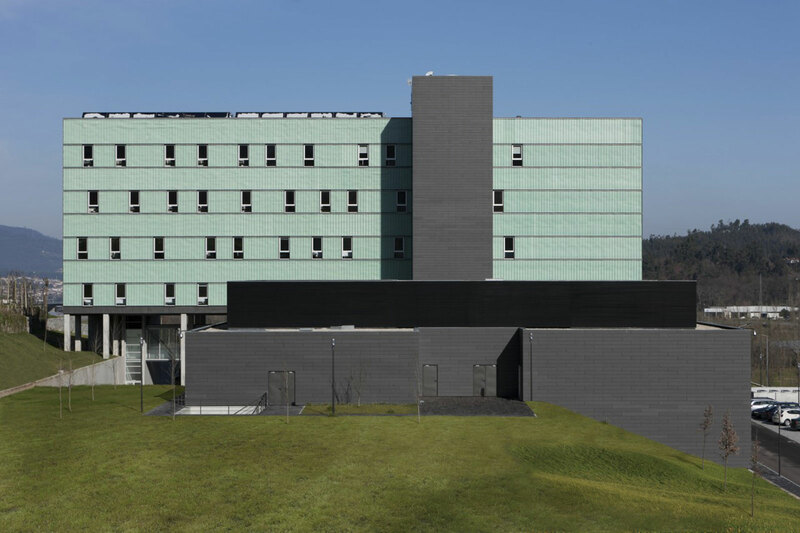 It is located alongside the chosen Creixomil meadow, made up of land that is part of RAN but in between this land and the sloping land which characterises the Hospital construction area. 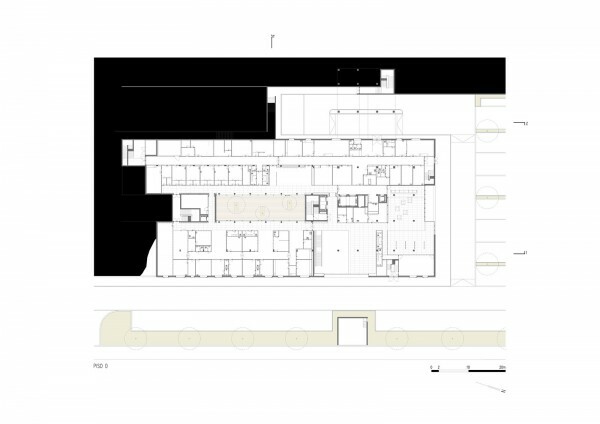 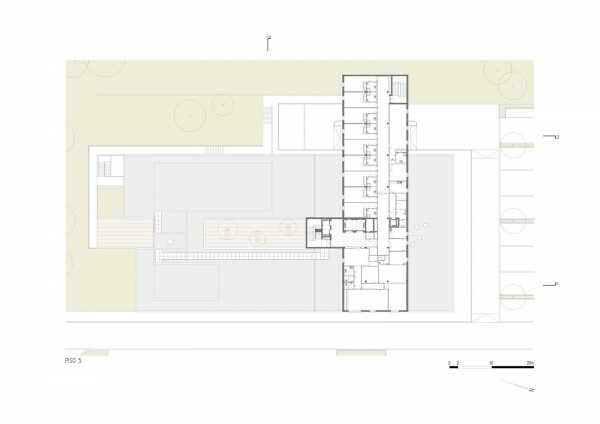 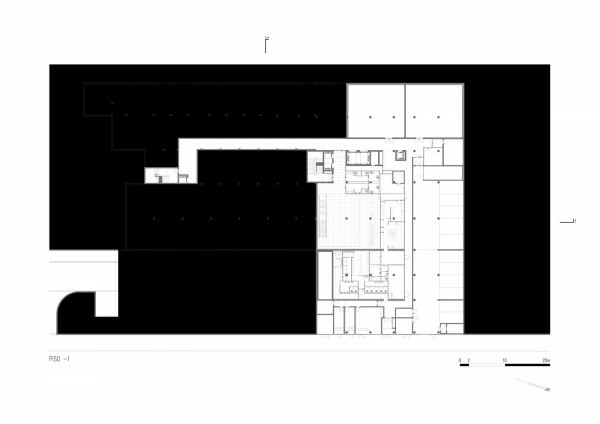 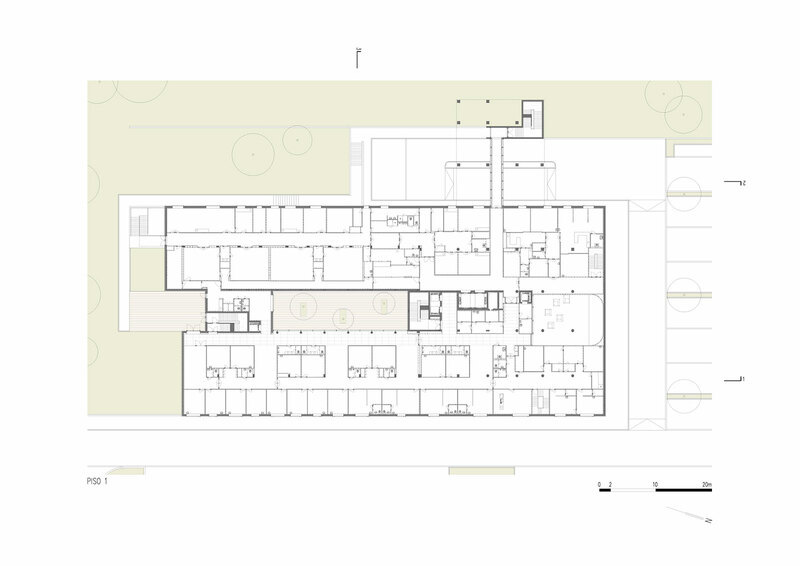 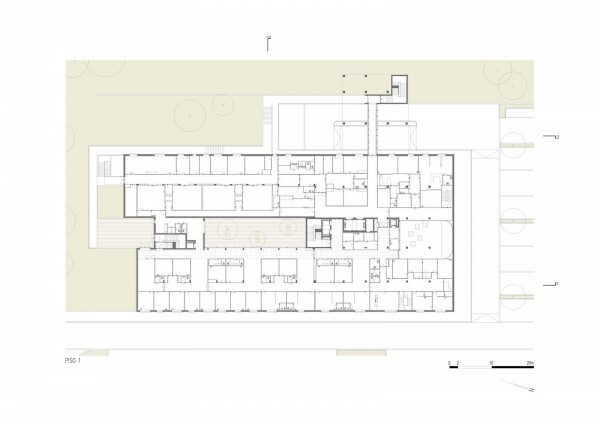 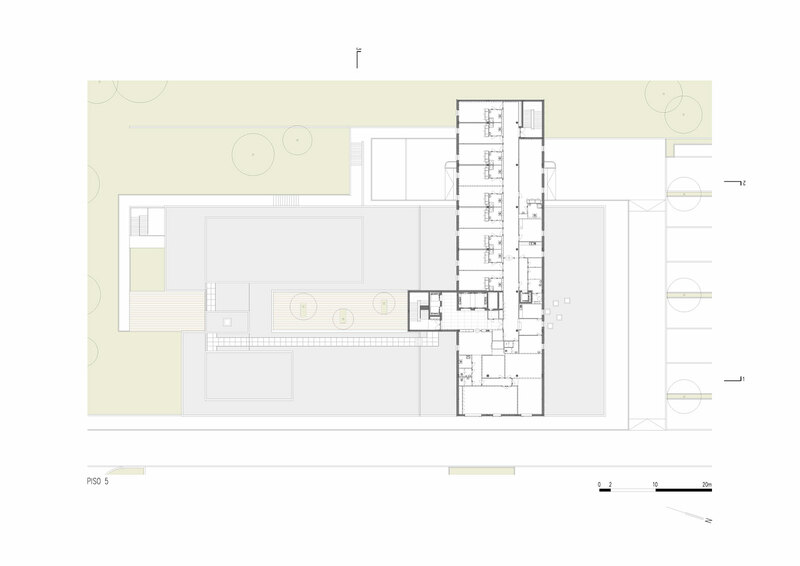 The site criteria conditioned the building size and its distribution into two clearly perceptible units, one extensive unit with two floors, developed along the side of the larger land size, and on which overlaps a single and transversal unit which accommodates the internment areas. 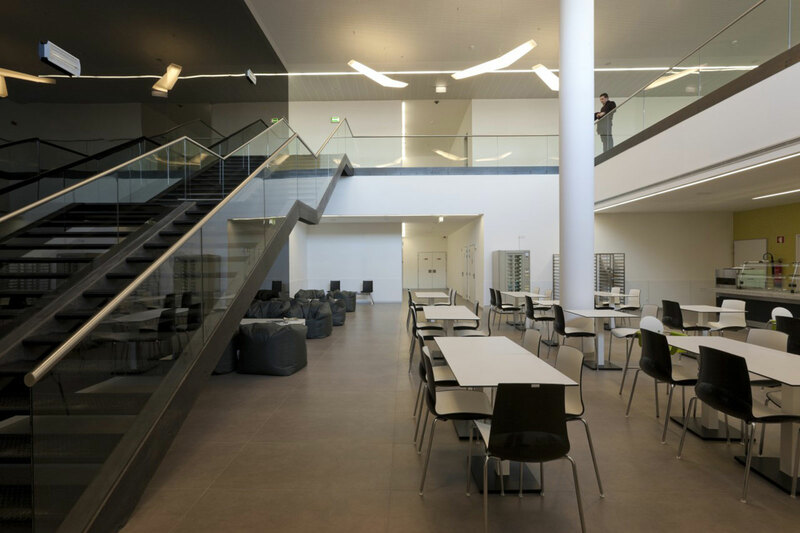 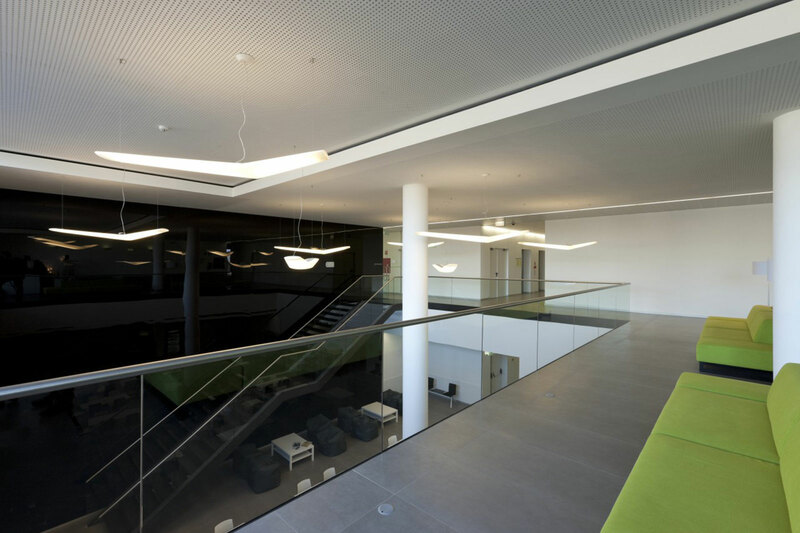 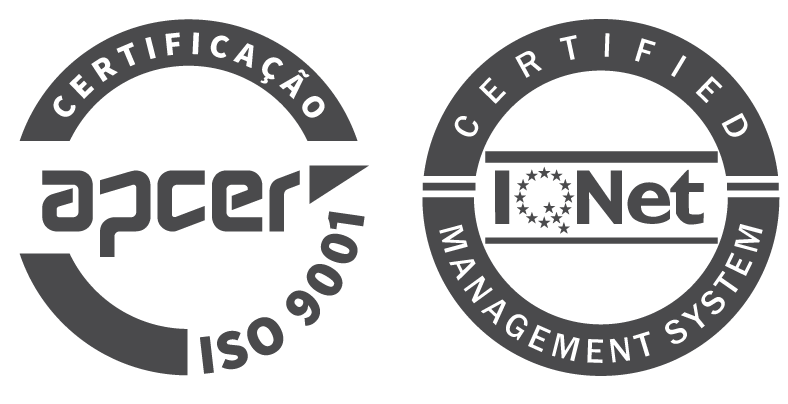 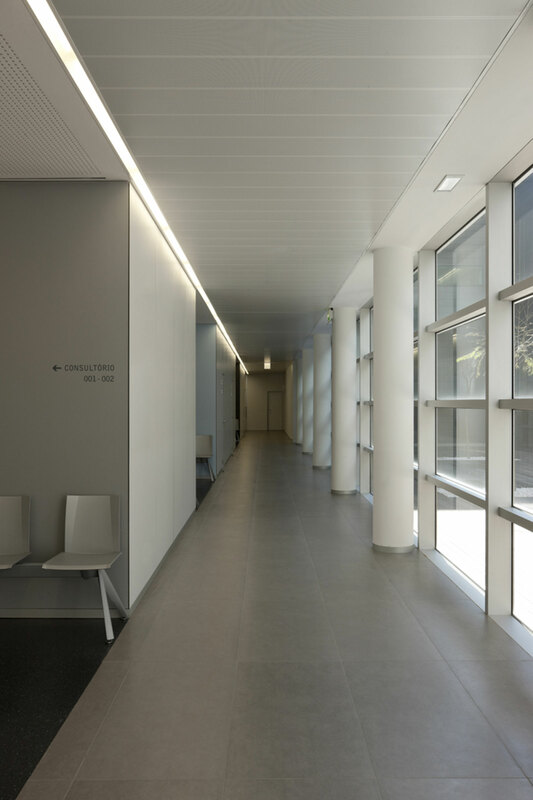 The aim was for internal and external circulation to be regulated with maximum clarity and that they also correspond to the principle of simplicity which shapes the whole project. The blocks form a patio and are united by vertical and horizontal circulation components to which public horizontal circulation areas correspond schematically with direct natural lighting, and internal circulation areas for services, or mixed use, mainly artificially lit, which will allow the easy identification of the type of circulation by this simple coding throughout the whole building. 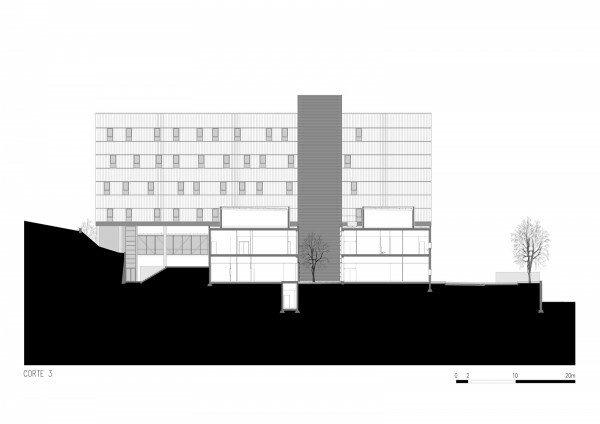 Another priority thought of is that the building should assume a language, scale and character which is eminently public and therefore unique and easily identifiable. 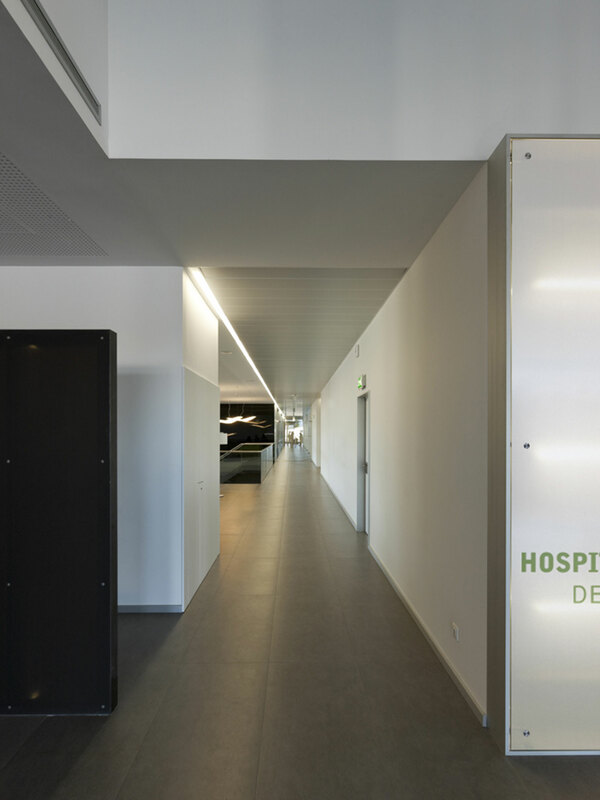 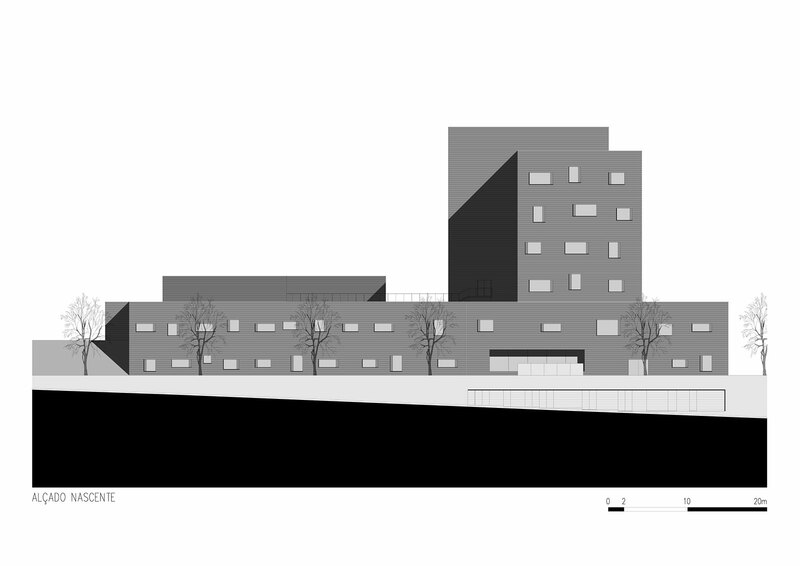 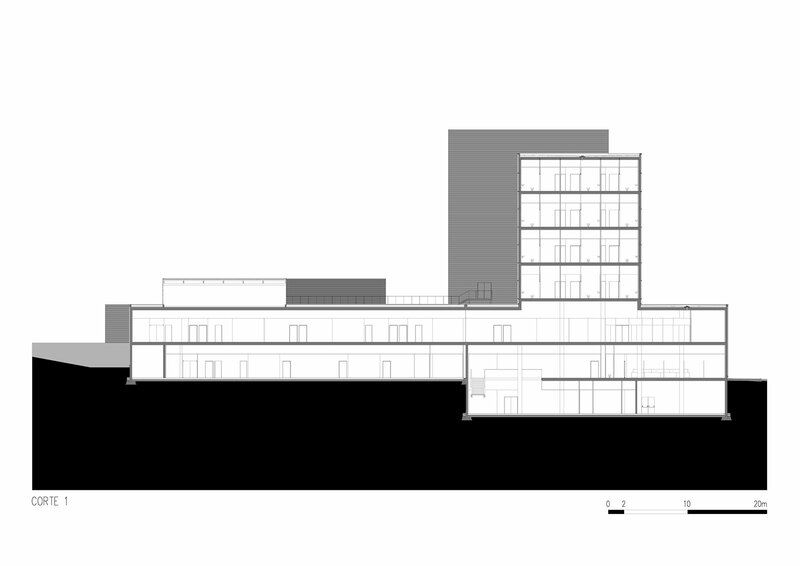 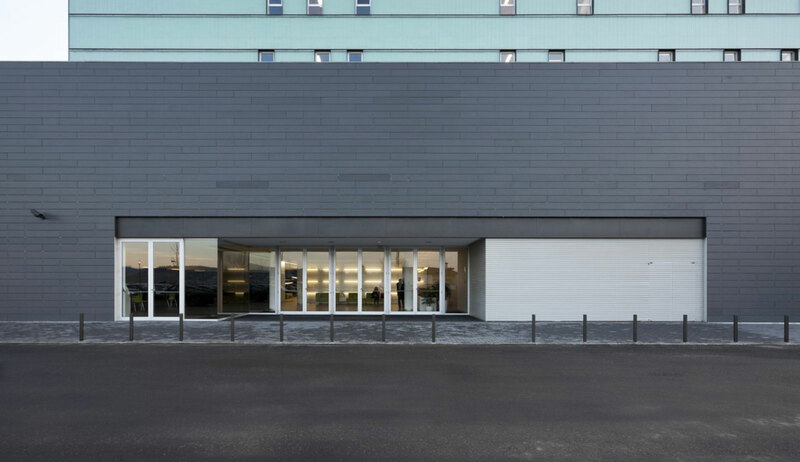 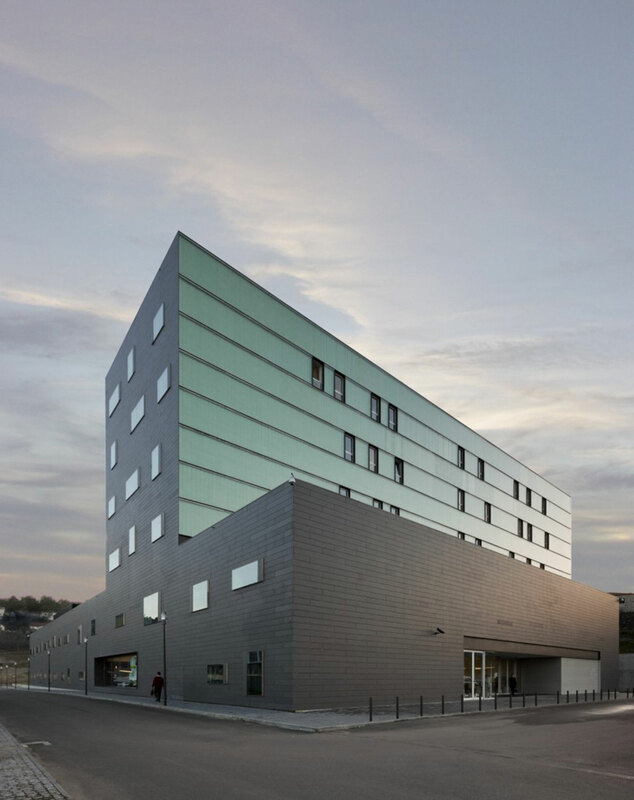 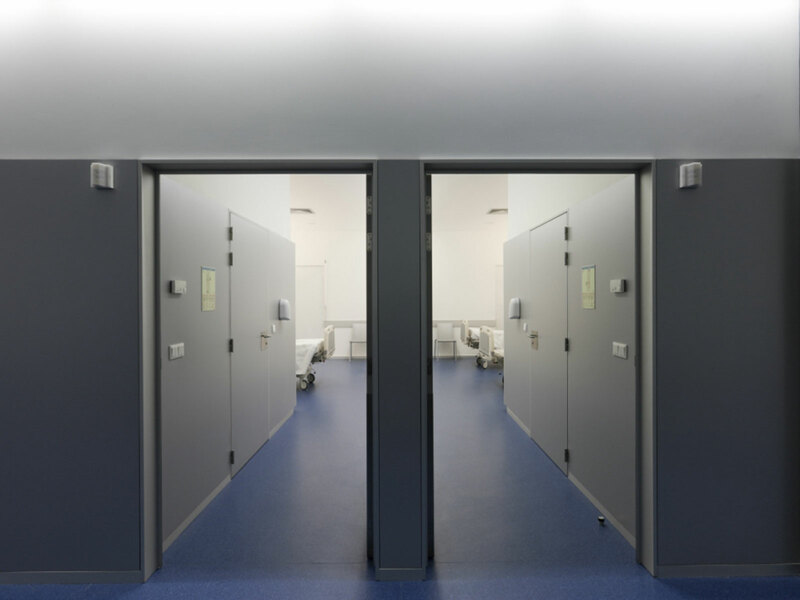 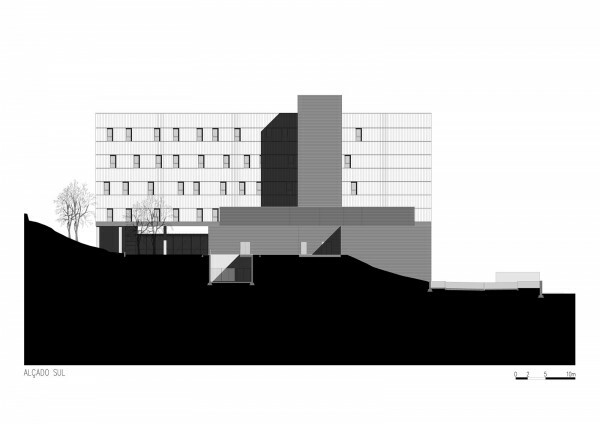 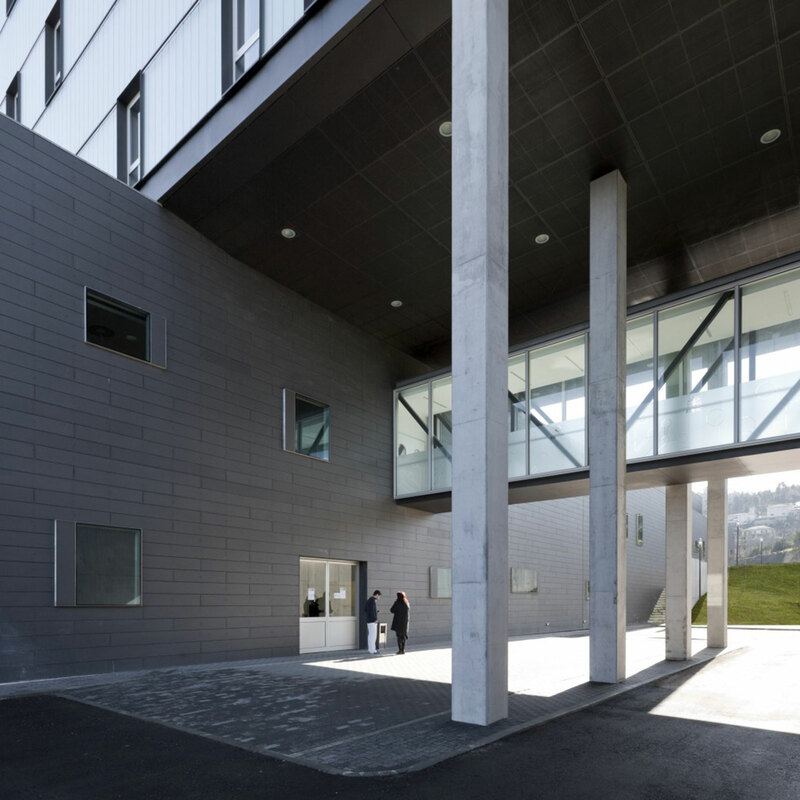 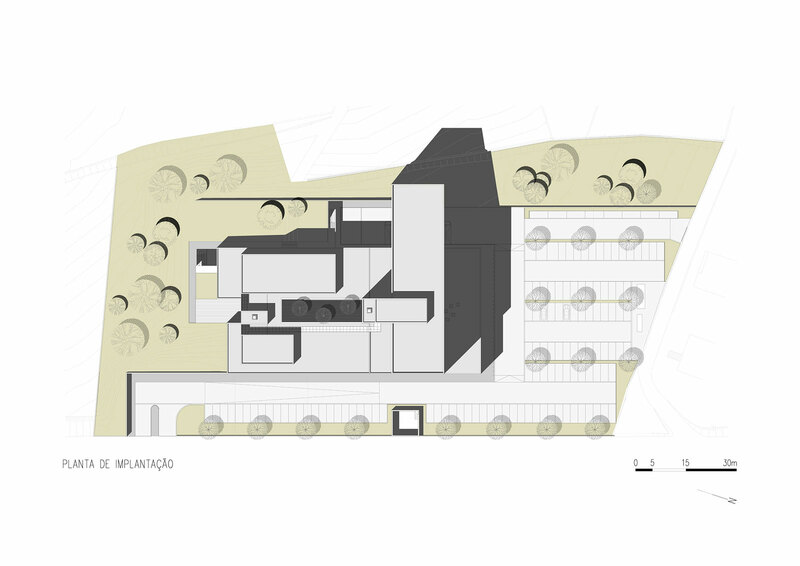 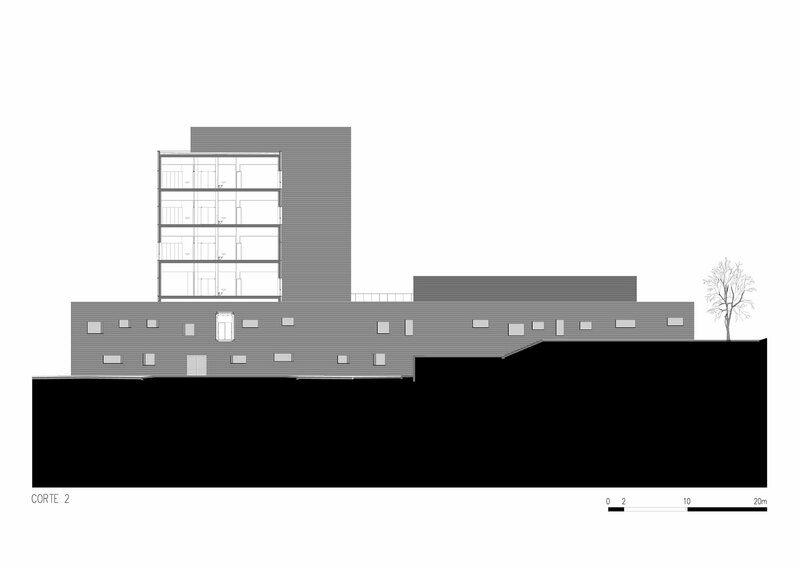 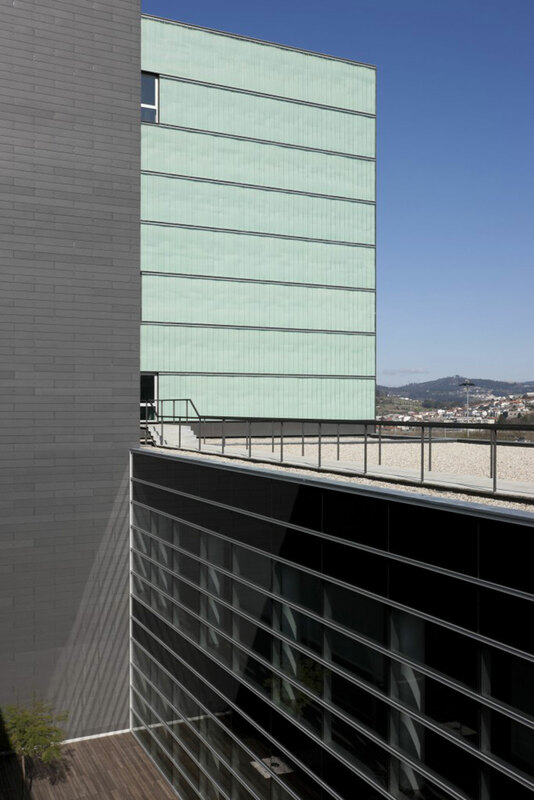 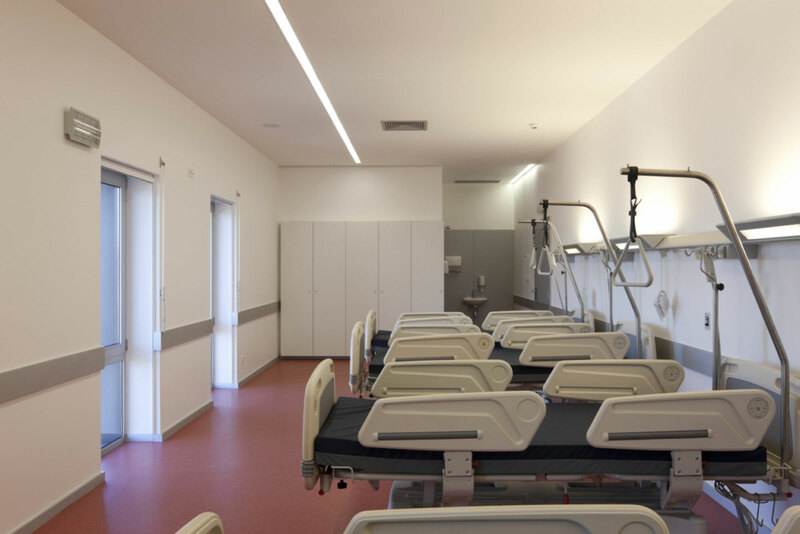 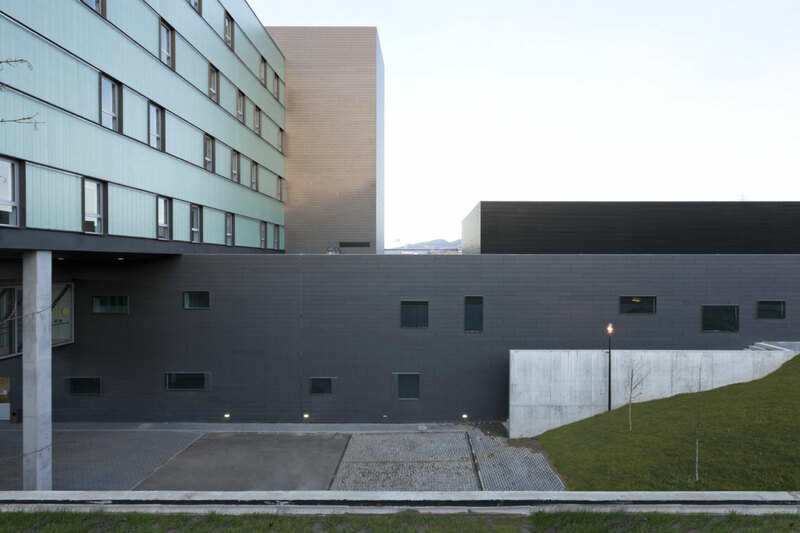 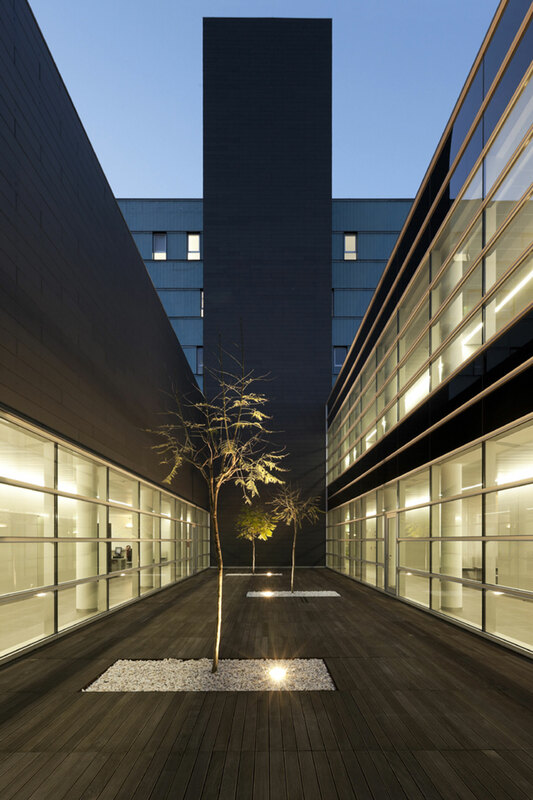 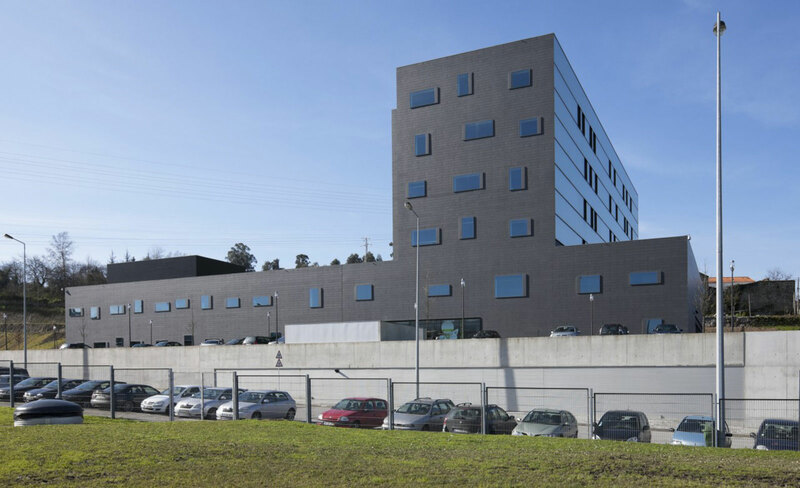 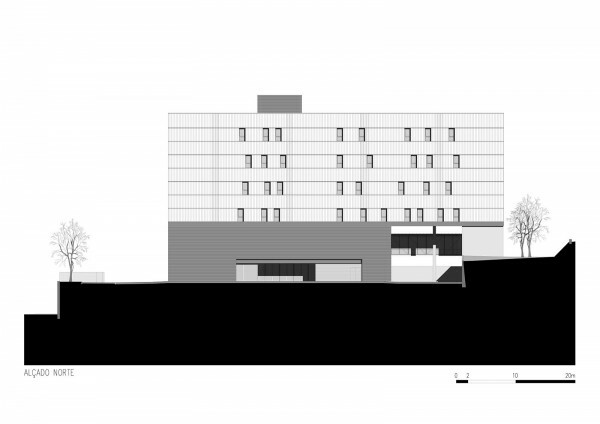 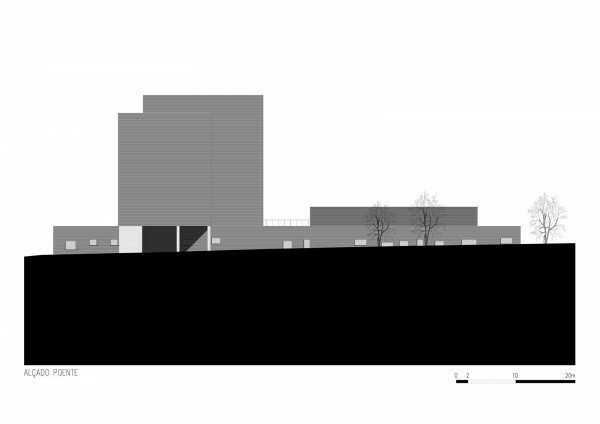 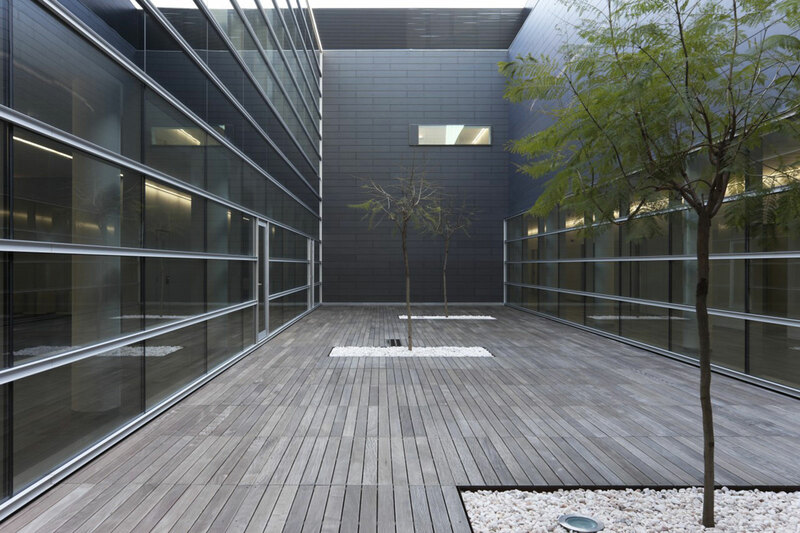 This translates into a compact size and clear organisation, with obvious reflections in the covering materials and with a treatment and expression of façades which contributes to that objective – making the Guimarães Private Hospital an individual building, and transforming it into an urban icon.